Chemical engineer from FAU receives 2.5 million euros from European Research Council for research into new reaction accelerators. Very few scientists receive such awards. Peter Wasserscheid, Professor for Chemical Reaction Engineering at FAU has been awarded an Advanced Investigator Grant from the European Research Council (ERC) for the second time. With the grant of 2.5 million euros, Wasserscheid intends to push forward research into a fundamental new concept for catalysis that is based on the reaction-accelerating effect of metal droplets with a low melting point. Members of the audience at Peter Wasserscheid’s presentations about ionic catalysts, chemically bound hydrogen or the secrets of catalyst research are instantly fascinated by his ability to develop and explain scientific visions, for example, when he’s talking about energy sources in twenty years’ time. He didn’t start his scientific career at university, but in his mother’s laundry room where he started experimenting with biodegradable plastics from waste from paper production in 1989. His first experiments were evidently the start of something. After winning the ‘Jugend forscht’ competition for young scientists at national level in 1990, Peter Wasserscheid decided to study chemistry at RWTH Aachen. Today, Wasserscheid, who was born in Würzburg and is the father of three daughters, an avid amateur chef and a dedicated Borussia Dortmund fan, is one of the world’s leading experts on ionic liquids – salts in liquid form. 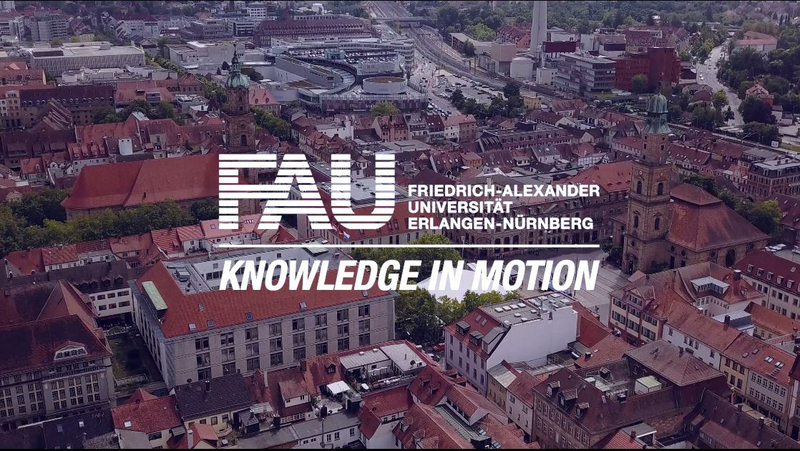 For his ground-breaking research in this field, he received the Gottfried Wilhelm Leibniz Prize in 2006 – the most prestigious German research prize – and is only the third researcher at FAU to do so. Four years later, in 2010, he was awarded an Advanced Investigator Grant by the ERC worth almost 2 million euros. This grant funded research into new ionic liquid catalysts that are used to enrich hydrogen in organic molecules and release it again in a targeted manner. This work laid the foundation for another important area of research for Wasserscheid’s working group – chemical energy storage. The liquid organic hydrogen carrier technology (LOHC) developed in conjunction with colleagues at FAU has now attracted interest way beyond Erlangen. The publications and patent applications from this work have not least led to Wasserscheid’s appointment as first director of the Helmholtz Institute Erlangen-Nürnberg for Renewable Energy, founded in August 2013. There are also already commercial applications for LOHC technology. Hydrogenious Technologies GmbH, an FAU spin-off that now has 70 employees, is already selling demonstration systems of the technology to locations all over the world, thus further supporting the leading position of FAU’s scientists in the area of liquid hydrogen carriers. The European Research Council (ERC) has now decided to award Wasserscheid his second Advanced Grant. The planned research project is a logical continuation of the work carried out to date, while using an entirely new research approach that is promising ground-breaking scientific findings and a technological leap forward for the chemical industry. This project also deals with efficient hydrogen release from organic molecules, again using liquid reaction accelerators. However, this time the class of catalysts recently discovered by Wasserscheid and his colleagues in the EAM cluster of excellence are liquid drops of metal attached to porous carriers that are brought into contact with the reactants. The microscopically small drops of metal are fluid because they contain a high proportion of gallium, an element with a very low melting point. At the same time, this high concentration of gallium ensures that the atoms of the dissolved secondary metal components are thoroughly dispersed: the individual metal atoms in solution within the gallium are responsible for the catalytic effect. In contrast to traditional solid-state catalysts, the edges and corners of nanoscale particles are not the active sites of the reaction accelerators in this case, but single metal atoms that emerge from a ‘lake’ of gallium and disappear back into the liquid after their job is done. The unique dynamics of the liquid surface of the catalyst open up completely new perspectives for metal catalysis. What’s interesting, for example, is that individual atoms of metal surrounded by gallium have very unusual properties, which could enable expensive precious metals to be replaced by more cost-effective metals. ‘The ERC reviewers obviously share my enthusiasm for highly-dynamic catalyst surfaces’, says Peter Wasserscheid. ‘The unique environment for research in Erlangen with leading scientists in the fields of spectroscopy, microscopy, particle engineering, X-ray diffraction and theoretical chemistry was absolutely essential for the quality and persuasiveness of our previous research.’ This previous research over the last three years has ultimately paved the way for the now award-winning research project that focuses on aspects of reaction technology in liquid metal catalysis.